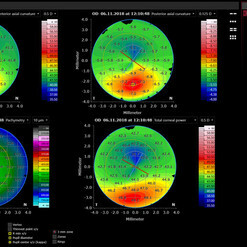 The ANTERION® * Cornea App provides a comprehensive diagnostic solution to assess a patient’s individual corneal geometry. 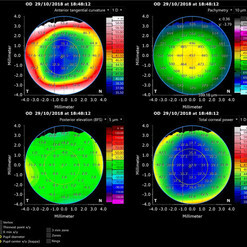 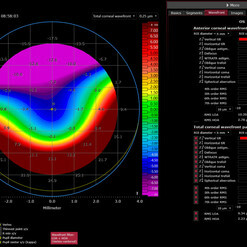 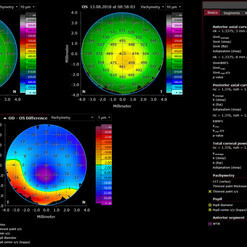 Diagnose or monitor corneal alterations and enhance the planning and evaluation of refractive surgery. 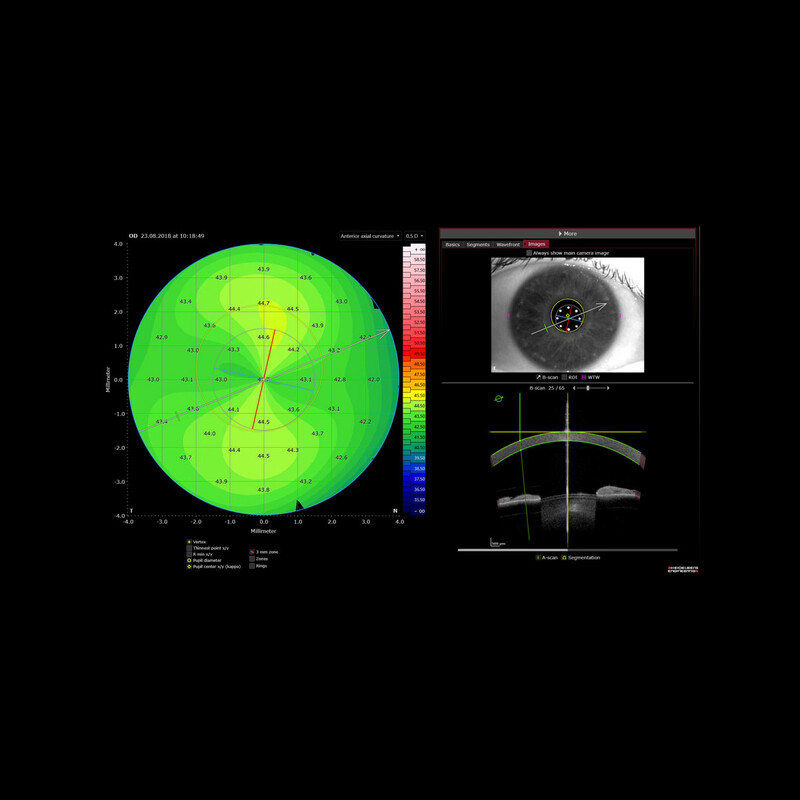 Experience the powerful combination of high-resolution OCT images and corneal measurements for a thorough assessment, including curvature and elevation maps of the anterior and posterior corneal surfaces. 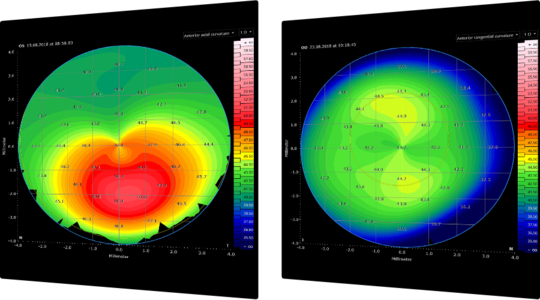 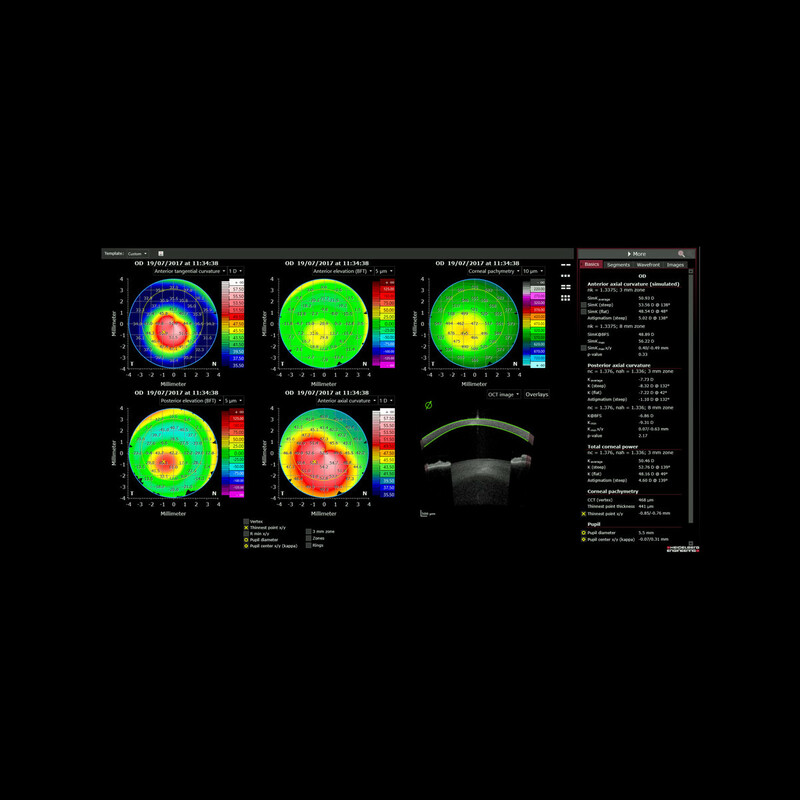 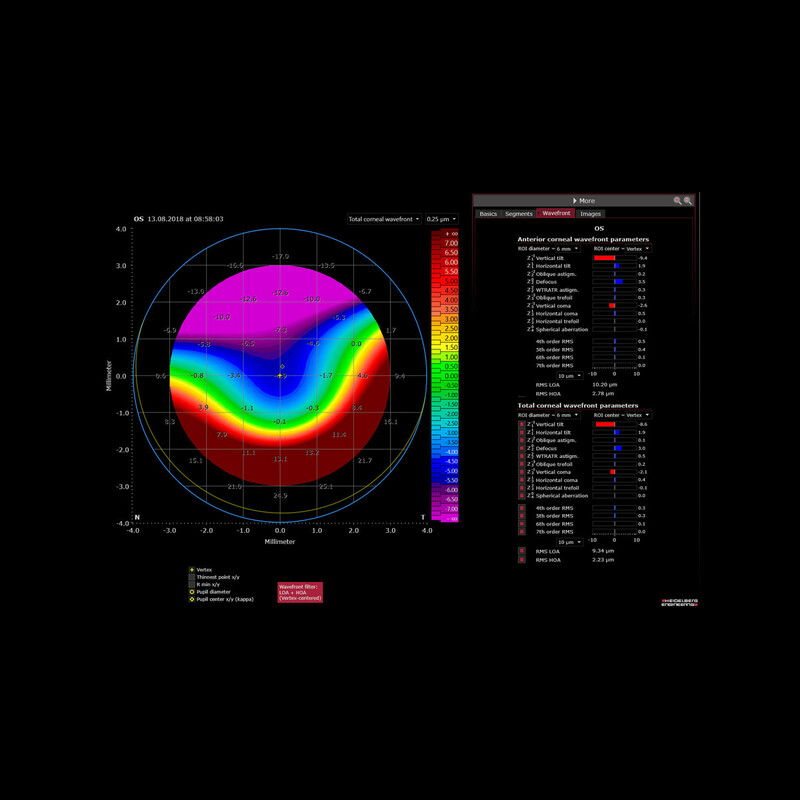 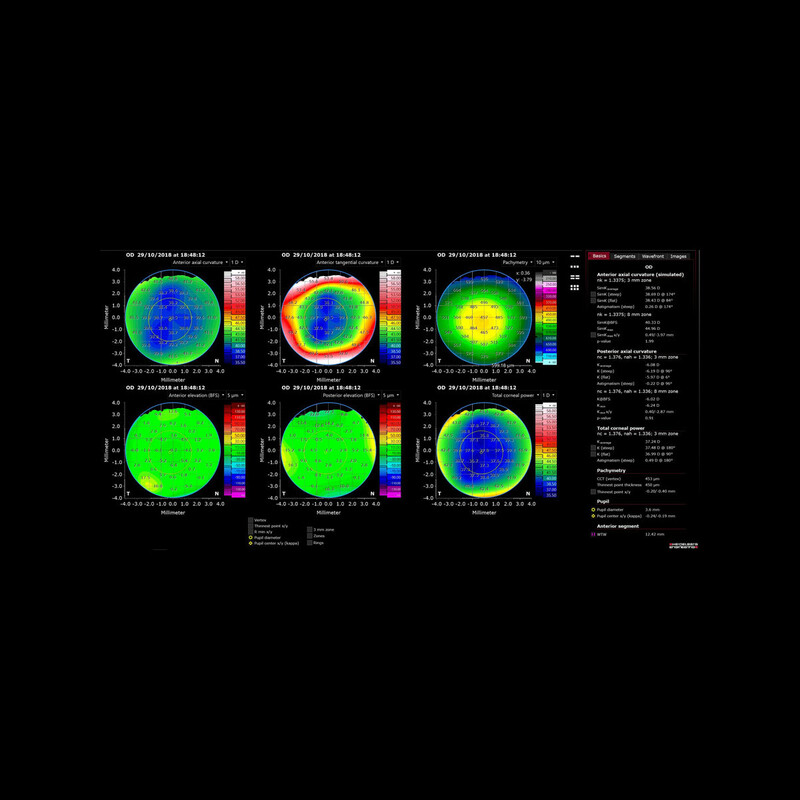 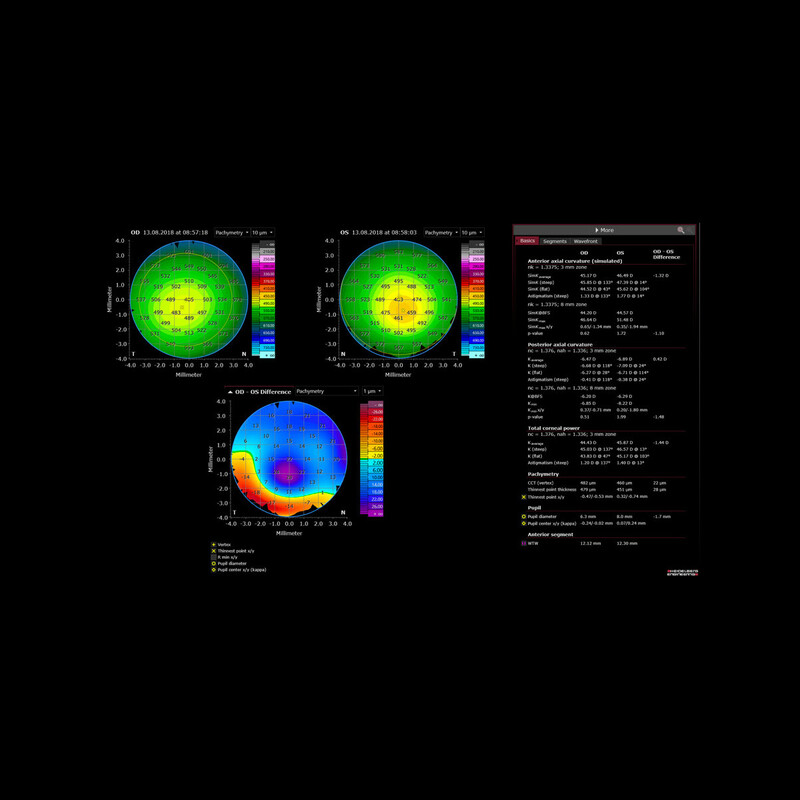 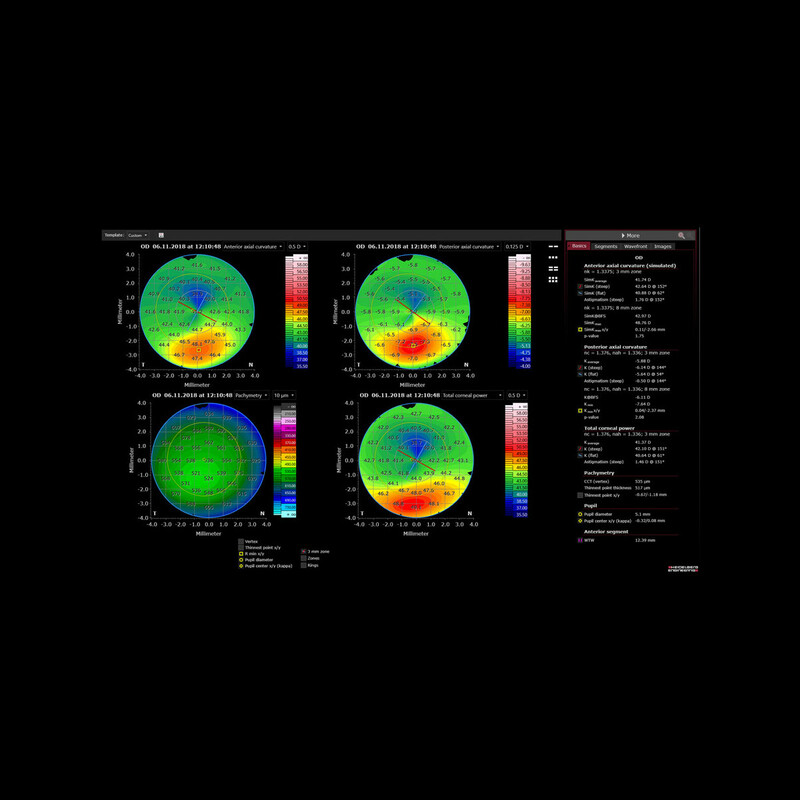 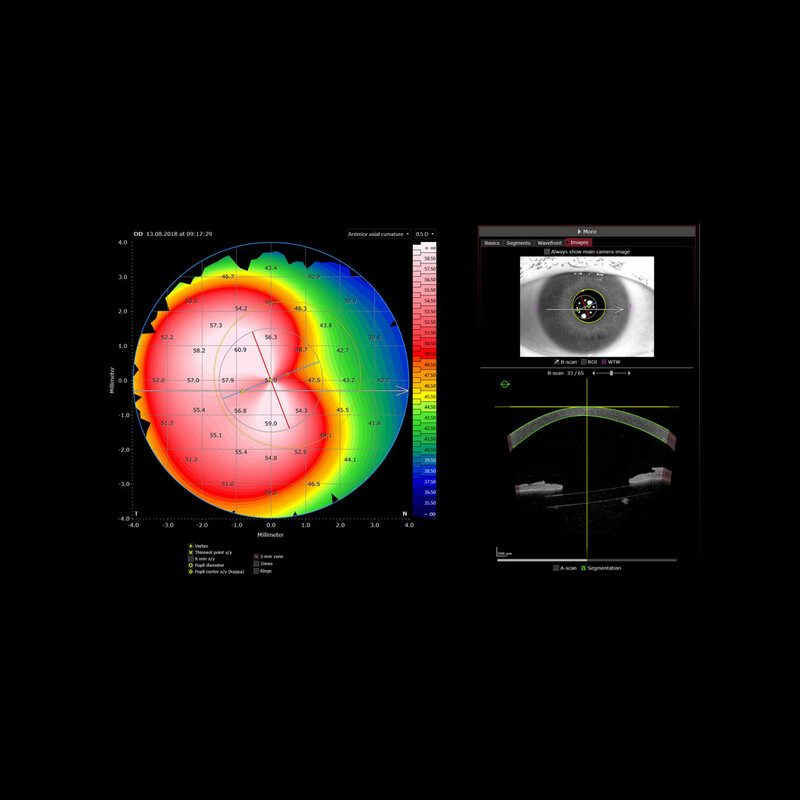 Total corneal power, pachymetry and corneal wavefront analysis deliver clear information needed for confident decision making. 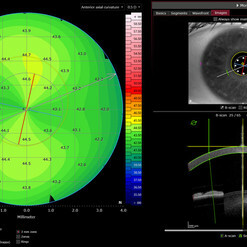 The Cornea App includes different layouts to customize the display of diagnostic information. 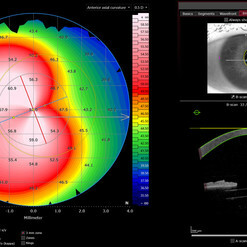 Shift from single or multi-view to a comparison of both eyes or to a follow-up layout with progression analysis. 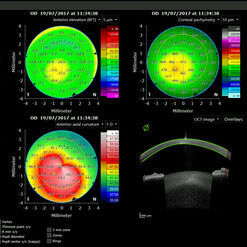 In addition to OCT imaging, an infrared camera image allows to measure both the pupil and corneal diameter.